There are so many kind of backpack trends and brands today. I have my fair share of favourite collection from Longchamp to Anello and now Doughnut. I have always loved a good functional backpack especially when I travel. 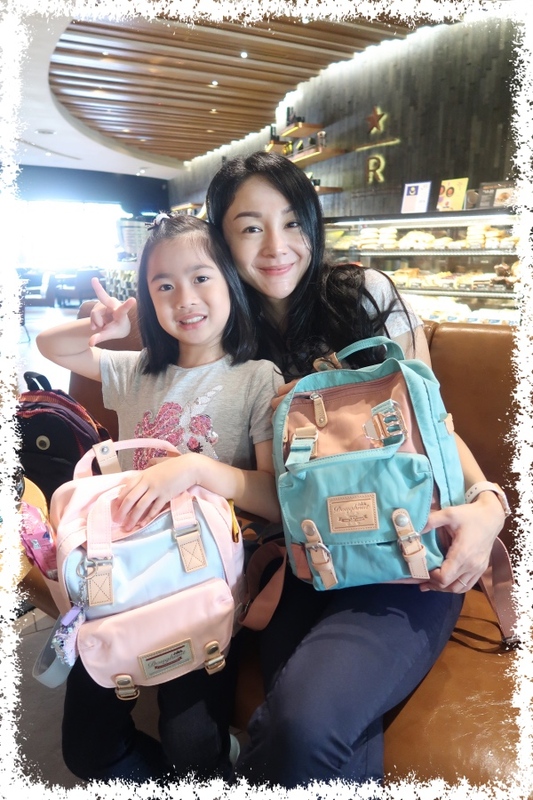 Over the years, I have been trying to find one to suit my needs and finally I can say Doughnut really had done a good job in creating one of the most stylish and fashionable multi functional backpacks I have seen by far. Ones where I have a good space with a 11 compartments/pockets in total on the inside and outside… AND yet not too bulky to make it over empower my petite frame. During my recent travel to Langkawi, my daughter and I used our mini petite doughnut macaroon and we can’t stress how much we love it. My little girl specifically had her colour combination chosen (Iceberg + Sakura) while I was carrying the Limited Edition One Piece Animation/Manga series. It is based on the characters of One Piece representing Luffy, Chopper, Nami, Sanji, and Zoro with a representative sign of character and a motto in Japanese. It was love at first sight when I saw the colour combination for this piece. They come in so so so many variation of colours. Hues of pastel to darker tones to suit everyones style. Whats not to LOVE!!!! I could fit a whole lot inside this backpack and yet it feels remarkably LIGHT. I think it could even be a perfect fit as a baby bag or even a school bag of even a backpack for work for both men and women 😍. Another bonus point I love is that this backpack is made with high quality waterproof nylon, also known as Cordura. Which means, no worries about having my iPad + Portable Power Bank being wet if I have to run in the rain. Another reason to love is the internal pockets available inside carefully stitched with lined interior to allow separation of items. I can easily fit my passport, wet wipes, tissues, money, phone and more at the compartments and not worry about searching for them items inside the bag with a bunch of other stuff.